If you are not sure whether you should take Hydroxycut or Animal Cuts as your weight loss and body building supplement, well, you ain’t alone. There are so many people like you who are not sure if Hydroxycut or Animal Cuts will suit them best as well. Indeed, the two products are very different from each other. Hydroxycut comes in a form of caplets, while Animal Cuts is consumed pretty much like milk. Besides, Hydroxycut is quite significantly more affordable than Animal Cuts. So, which one is better? Well, if we try to compare the ingredients, Hydroxycut and Animal Cuts both contain caffeine. So, no need to wonder why they both claim to be able to deliver increased energy levels. Caffeine has been extensively researched and proven to have noticeable effects on the metabolism rate of the body. By increasing the metabolism rate, your body will try to generate more energy by breaking down more stored fats. This is a great effect; the increased energy levels will help you train more during your workout sessions. Quite interestingly, both products each features 200mg of caffeine. 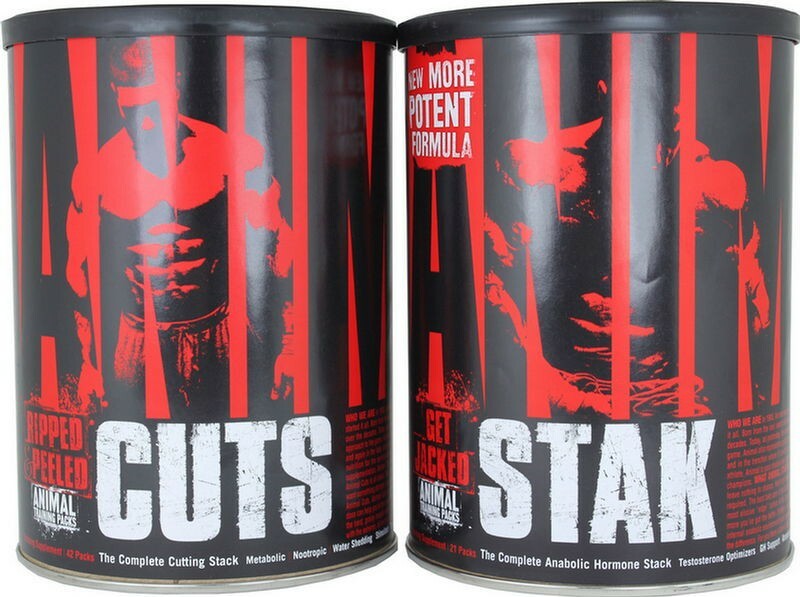 However, Animal Cuts is enhanced even further by containing 20mg of Synephrine, a chemical substance that is known to deliver more significant effects than norepinephrine in making your brain and body ready for action. So, not only Animal Cuts increase your energy, but also enhance the readiness of your whole body to perform the workouts. Meanwhile, besides the Green coffee bean extract (Coffea canephora robusta) and caffeine anhydrous, the other ingredients of Hydroxycut are Lady’s mantle extract (Alchemilla vulgaris), Wild olive extract (Olea europaea), Cumin extract (Cuminum cyminum), and Wild mint extract (Mentha longifolia). These ingredients are indeed believed to have weight-loss effects as well, but there is no sufficient research about the effectiveness of these elements. On the market, each product has received a decent amount of positive reviews, but not without reported side effects. Most of the side effects of the two products are quite similar, and these side effects are indeed related to the high concentration of caffeine. The side effects can include headaches, agitation, jittery feeling, anxiety, and insomnia. 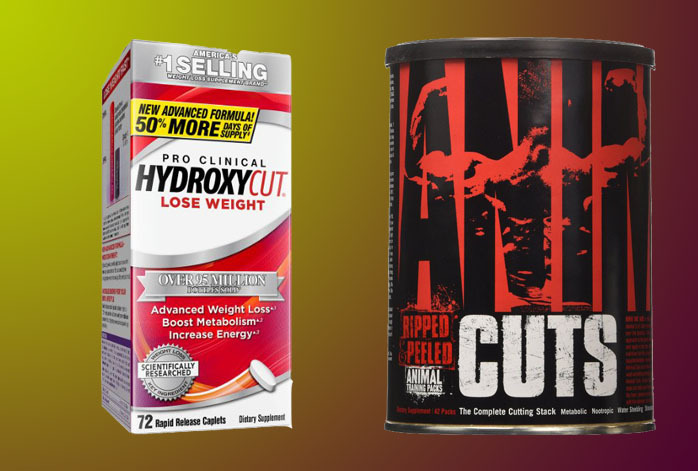 So, should you choose Hydroxycut or Animal Cuts? Well, the effects are pretty much similar, though Animal Cuts can deliver more potent effects than Hydroxycut. We recommend you to start with Hydroxycut, which is famous to be able to deliver significantly enhanced energy to the consumer. Yet, if you feel like you need something even more powerful, then Animal Cuts is the next step.